Purchasing wheelchair vans is convenient and secure with our online sales program. While you stay home in Flagstaff, Arizona, you'll work with a mobility consultant in our office to shop for a handicap van, get financing, and process all the paperwork needed using the Internet and phone. When the sale is final, you can pick from any of our delivery options to have your accessible van brought right to your home in Flagstaff, AZ. Arrange for one of our mobility professionals to drive your wheelchair van from our facility to you, anywhere in the Flagstaff, Arizona area, and then, fly home. Because mileage is one of the biggest factors when determining future resale value, you can choose to have your handicap van hauled on a trailer by one of our professionals rather than driven to Flagstaff, AZ. If you'd rather take your adapted van home yourself, we invite you to Atlanta, GA to take possession of your accessible van personally. As incentive, customers from Flagstaff, AZ often qualify for a pick-up discount off the purchase price of the vehicle. While our new and used wheelchair vans are easy to operate, in order to ensure you're totally comfortable, we provide our signature "White Glove Service". 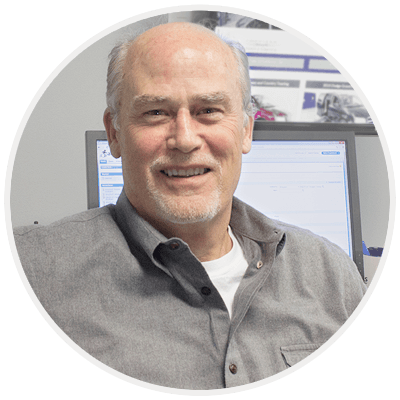 Our mobility professional will demonstrate how to use all the features of your specific vehicle, offer some helpful tips, and answer any questions you have before leaving the keys. Our total-satisfaction guarantee at the time of delivery promises that, if your expectations aren't met when you take possession of the handicap van, we'll return it to our headquarters, void the sale, and mail a refund of your payment, without question. If you would like to have another opinion before making your final decision, choose a mechanic in the Flagstaff, Arizona area; we'll meet you there and wait while a diagnostic check-up is completed. 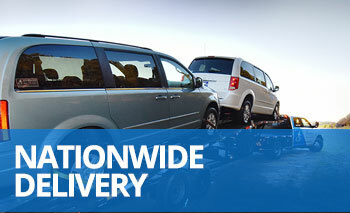 Our customer care extends beyond the sale of your wheelchair van. For the entire time you own an AMS Vans accessible van, you'll have access to our 24-hour emergency conversion help line, nationwide service and maintenance, and free listings in our online mobility classifieds. Consultants are standing by at 800-775-VANS (8267) to tell you more about the opportunities we have available. We'll determine your specific accessibility needs and point out some handicap vans for sale that may interest you. Should you see one that you'd like to own, let us know, and we'll take it from there while you relax at home in Flagstaff, Arizona. It's our mission to bring low-cost handicap vans to thousands of satisfied customers all over the country, and we hope to deliver a new or used wheelchair van to your driveway in Flagstaff, AZ soon.